Play Video Slots, and win credits to play on our other casino games at Casino Games And Slots. Every day you visit Casino Games And Slots, you will get 200 addional credits. Bet on up to 10 lines, and bet up to 5 credits on each line. Casino Games require a newer version of Adobe Flash Player. You must have the current version of the adobe flash player to play this online solitaire card game. 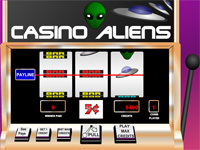 Alien Slots is a 3 reel casino slots game with an alien theme. 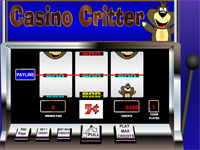 Casino Critter Slots is a 3 reel casino slots game with a fuzzy little friend. 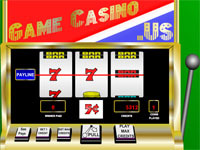 3 Reel slots are slot machines with mechanical reels driven by a pull on the slot machine's arm. 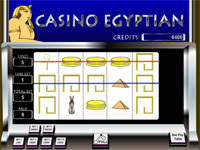 Egyptian Slots is a video slot machine with an egyptian theme that allows the player to play up to 10 lines at once. 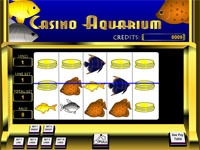 Aquarium Slots is a video slot machine with an aquarium theme that allows the player to play up to 10 lines at once. 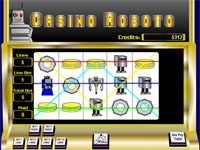 Casino Roboto Slots is a video slot machine with an robot theme that allows the player to play up to 10 lines at once.